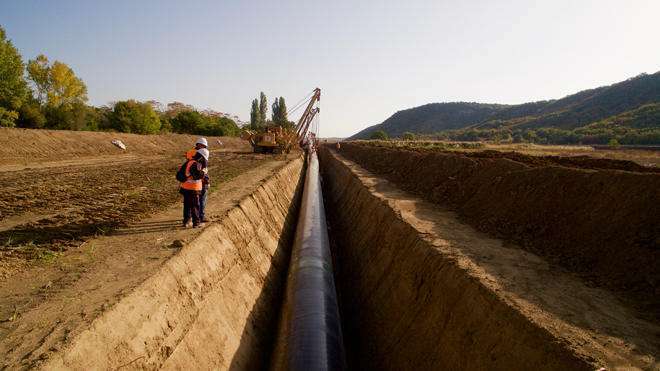 The Trans Adriatic Pipeline (TAP) project, which envisages transportation of Azerbaijani gas to Europe, is 85.7 percent complete as of February 2019, Trend reports citing the website of TAP AG consortium. “TAP is currently moving further into the project construction phase. Every day hundreds of meters of TAP’s Right of Way (ROW) are cleared, strung, welded, lowered into the trenches and backfilled, in line with the project construction steps and schedule. At the end of February 2019, the TAP project was 85.7 percent completed,” said the consortium.